Or should that be exploring Bimby and experimenting on Barney…..
There’s been plenty of fancy this week. Fancy that has come from unusual and unsuspecting places. Mr SpunkyGuts comes to town! All ready for his pedi….mucking around with sea stones. I’m so creative! I’ve spent this week getting acquainted with my new Galley Hand….the Bimby, aka a Thermomix in other parts of the world. So far I’m pretty impressed with this fine piece of German machinery. I am just a little worried that it may put me out of a job! It’s a great multi-tasker, a powerful blender and chopper, the perfect steamer and slow cooker….I even made my own almond and coconut butter without too much fuss. Talk about one fancy robot! 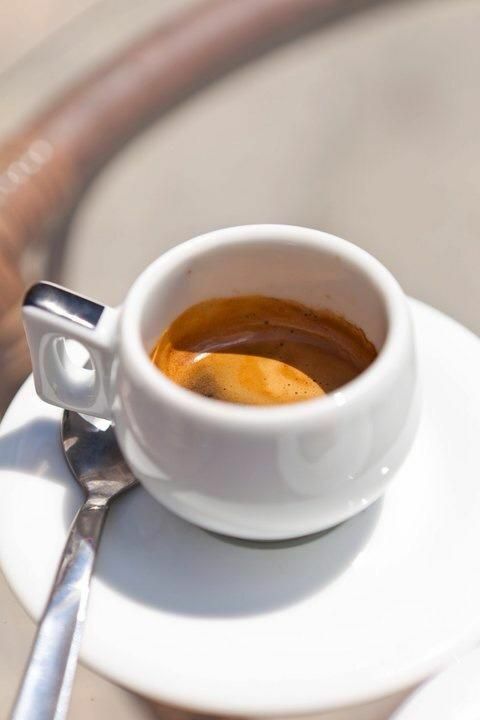 Italian coffee; made by Italians, for Italians, in Italy. Mr SpunkyGuts and I hired a car for the week-end. He is nearly always the driver. Especially when it comes to driving in a different country (Italy of all places too…) and, most importantly, when the car is going to be a manual transmission. I’ve only recently begun driving manual cars on a regular basis. I had to learn, learn quick, and on the opposite side of the road with road signs in a different language. I’m getting better though and this week-end I HAD to be the ‘driver’ (Mr SpunkyGuts was pick pocketed a week or so ago, wallet and driving license gone…doh!). This was definitely NOT what I had anticipated. It was a challenge, a good one and I feel a bit fancy cause I did it. And did it with minimal freak outs. I feel like a freakin’ race car driver now! Being the navigator has always been my specialty…. I know that may not seem overly fancy. Sunshine one minute…pelting rain and thunder the next… But who doesn’t love an out of no where storm..? One that you can actually see rolling in? A storm when you can smell the rain before it even hits the ground. There’s something kinda special about it isn’t there? It’s fancy. Another less-than-fancy on the surface. I’m missing home. My family. Friends. My cat. Familiarity. The smells, the sounds, knowing where to get exactly what you need. The simplicity of it. The quiet. The special spots that always take my breath away. Doesn’t seem very fancy at all really does it? But what I realise is why I miss ‘home’. It’s because home is SO damn special, I’ve got some wonderful people back there in a truly magical part of the world. That my Spunkies is FANCY. Oh and one final pic…. Meet Kirry. She’s the prettiest cat I know. Clearly she get her good looks from me…What do you think..? Ive missed out for a couple of weeks….life got in the way! About to Google your new robot whilst catching up on the blog. Hope the homesick has gone 🙁 Glad Barney came for a visit.